This 205 mile one day ride starts and finishes in San Ramon. The Route includes Mt Diablo, Morgan Territory, Mines Road, Mt Hamilton, Calaveras Road, Niles Canyon and Palomares Canyon. 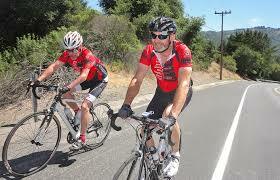 We support the Livermore Valley and Mines Road sections, up to the Mt Hamilton summit.